Early c20th vintage cotton shift dress/tunic/top. This is a cotton sleeveless chemise from before the first world war, in perfect condition. It's made from heavy cotton, with embroidered (I assume by hand) neck and sleeve edgings. There is further white on white embroidered detail at the centre of the neck, including the initials 'MF'. 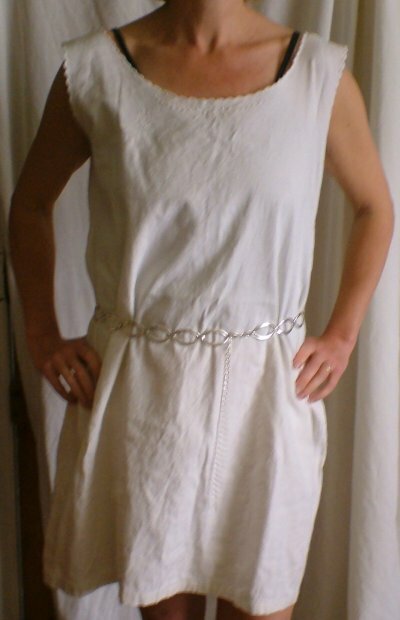 It looks good belted, and could be worn with trousers or a skirt, or on its own. 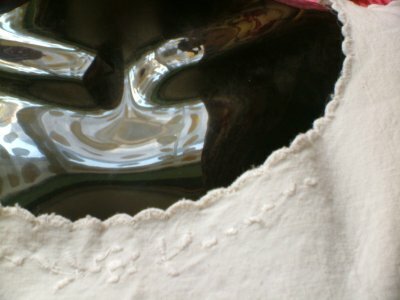 I imagine it was originally some sort of undergarment, possibly even a nightgown. I think the original owner was taller than average for the time - it would look best on someone taller than our model. Unlike most of the Edwardian/Victorian clothes you see, this was made for someone of a sensible size: it's quite roomy! It meausres 36 ins (91.5 cms) across the shoulders, and 43 ins (109 cms) under the arms. It's slightly A-line in shape. 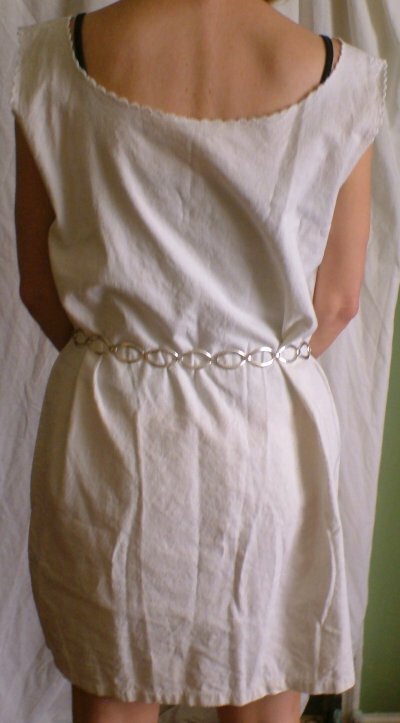 Length from back of neck (scoop neck back and front) is 30 ½ ins (77cms).